As an important macroeconomic variant, the fiscal revenue and expenditure can influence the operation of the whole economic and social activities by changing the existing GDP distribution pattern, affecting the consumption and investment of enterprises and people, etc. Thus, fiscal policy has always been a primary instrument of macroeconomic regulation. This book imports fiscal policy into the framework of macroeconomic analysis and through the analysis of the former, it unfolds the major changes of China's macroeconomic operation in the past 20 years. This book begins with China's rejoining the General Agreement on Tariffs and Trade (GATT) in the 1990s which enabled China to deepen the reform and join the international market finally. It elaborates on the challenges China's taxation would be confronted with after rejoining the GATT, including the decrease of tax revenue and higher requirements for tax reform. 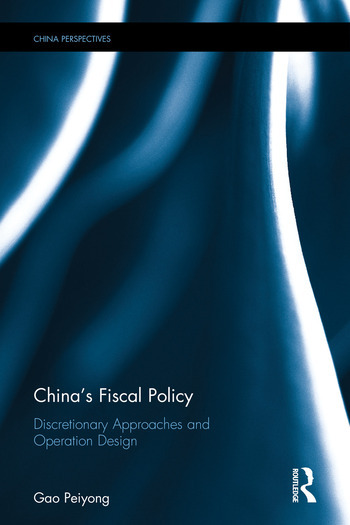 Then this book combs China's fiscal policies under various economic situations chronologically–tax policy under the background of deflation, proactive fiscal policy at the beginning of 21st century, macroeconomic policy options facing a complicated and volatile economy, etc. How to deal with the ¡°new normal¡± of development China's economy has entered is also addressed. This book will appeal to scholars and students of economics and China's economic studies. Gao Peiyong is the director of Institute of Economics, Chinese Academy of Social Sciences. His main research interests include theoretic research, policy analysis and institution design in the field of public finance and taxation.